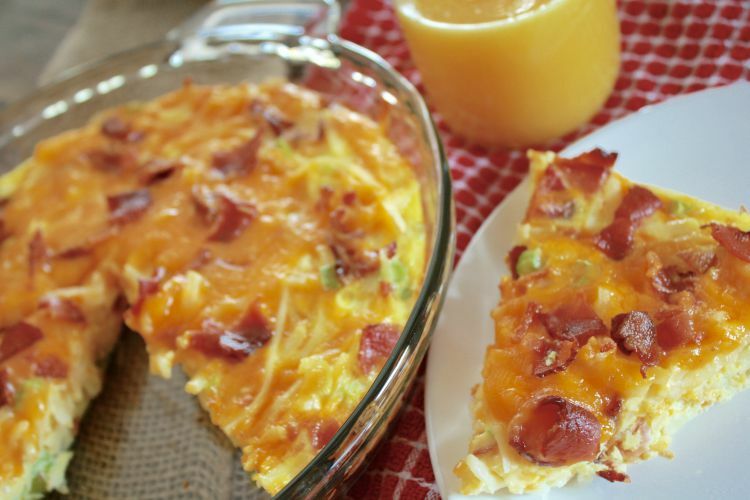 Everyone Will Want This Breakfast Casserole Recipe! Are you looking for easy breakfast ideas that you can make in a snap for a crowd? 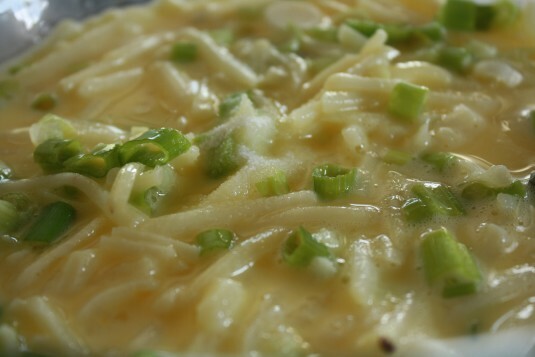 This quick breakfast casserole recipe is a must try. 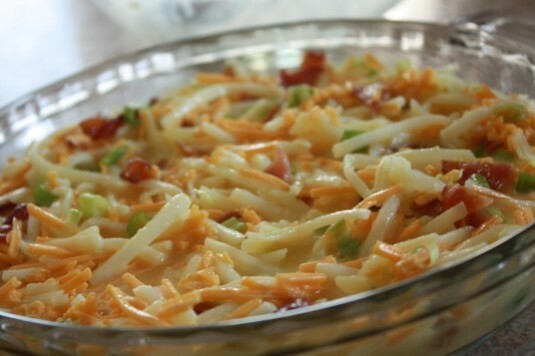 I love that this casserole is totally doable on a weekend morning, or even on a weeknight if your family does breakfast for dinner. When our kids were little and the weekend mornings were less hectic (like, lots less hectic) we loved having new quick breakfast ideas that could be whipped up fast. This recipe is one of those where it comes together in a flash, but you can also prepare it the night before and bake it the morning you want to serve it. 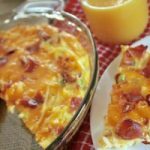 This quick breakfast casserole became one of my personal favorite breakfast for dinner ideas as well. I also love that you can switch the bacon out for ham making it even more customizable to what taste you’re longing for. 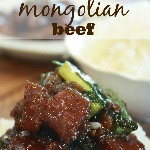 And, it’s delicious! If you’re looking for a good breakfast sausage casserole recipe try this one here and also this sausage croissant breakfast casserole recipe. Cook and crumble your bacon first. Sometimes I use the microwave and this contraption here. 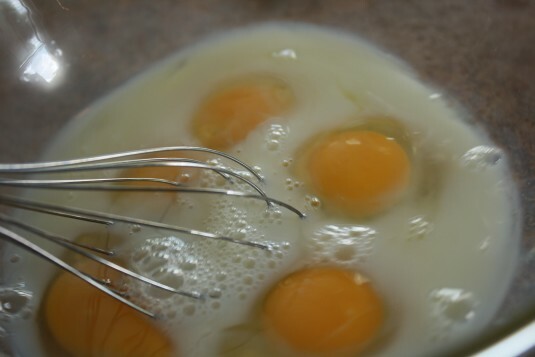 While that’s cooking, stir together the eggs and milk. Next, add the green onions to the mix. And then 1 cup of the cheese. 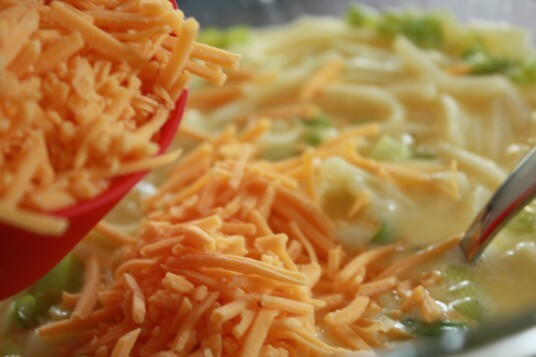 You can use sharp cheddar if you wish, too. ‘Nuff said, right? But here are the directions and ingredients in one spot so you too can make this awesome concoction of wonderful flavors you won’t be forgetting for quite some time. 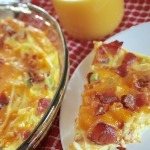 This breakfast casserole is amazingly awesome. And easier than any other I've tried. 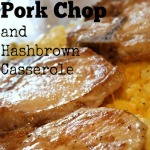 See more Quick Breakfast recipes.